The joint effort of the W3C HTML WG and WHATWG resulted in publication of two documents in the W3C Technical Report space: HTML 5 and HTML 5 differences from HTML 4. I think I can safely say that the WHATWG community is very happy with the W3C publishing HTML 5 as a First Public Working Draft. Many thanks to all involved! Some cool elements there like <dialog>, <command>, <meter> and being able to do things like input type=”datetime|datetime-local|date|month|week|time|number|range|email|url”. Receive status Wii Remote buttons, pointer coordinates, sensor bar distance, and Z-axis roll. Rotate polygons in 3D space then translate them to z-sorted 2D to add that extra dimension to graphics. Draw lines, circles, rectangles, tiles, texture-mapped walls, and more. Allow multiple players/users to take part in the same of software. also check out the wii remote api which the Opera folk have released. 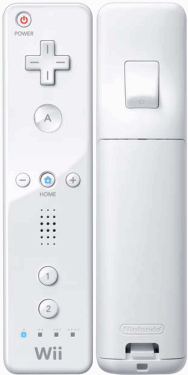 Allowing you to be able to monitor all of the remotes that are connected with The Wii Remote API. I’ve mentioned YSlow – the firebug add-on that allows you to monitor what is slowing down your site. using YSlow I have found the most horrendous code in ‘free’ wordpress plugins that download all sorts of things your mother wouldn’t like, SEO tools that stuff cookies, unscrupulous developers using your site to boost their own stats. Its a tool that is essential if you’re doing any kind of forensic investigation into a site’s usability, speed and accessibility, for SEO or any other purpose. The good news is that they’ve just released version 0.9.